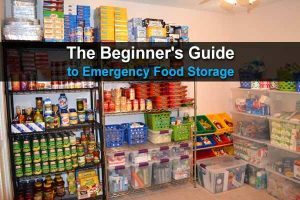 Readers of this site already know that I love stockpiling multipurpose items. That last thing you want to do is fill your closets and bug out bags with one-hit-wonders that take up space but only do one thing. Nearly every item on your shelf should have a variety of uses. Not only will this save you space, it will save you lots of money. In this article, we’re going to talk about an item that has become a staple in most households: Ziploc bags. 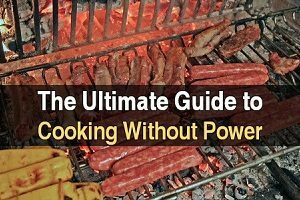 Although most people only use them for storing food, there are at least a dozen other ways to use them in a survival scenario. Ziploc bags are sold in small, medium, and large sizes; they’re also called sandwich, quart, and gallon bags. The quart and gallon sizes are generally more durable than the sandwich size and can be extremely useful. 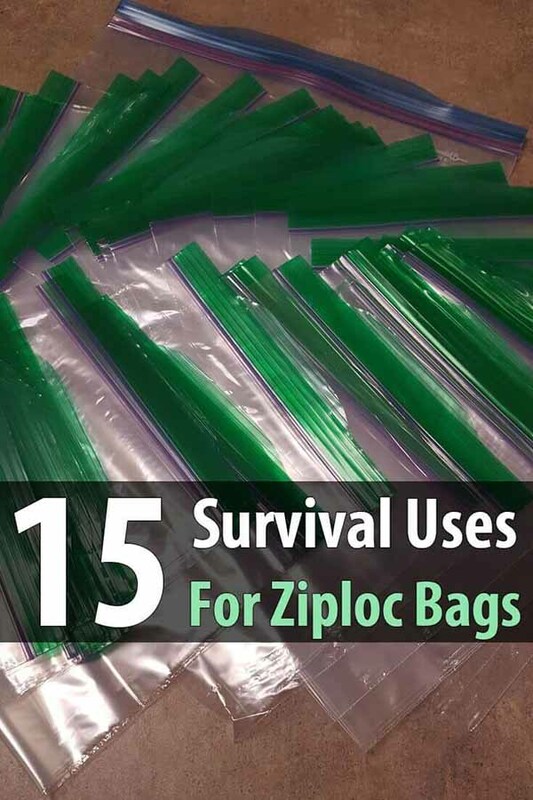 Now without further ado, here are 15 survival uses for Ziploc bags. Let’s start the list with one of the cooler uses. You can start a fire with a Ziploc bag by filling it with water then using it to focus sunlight on your tinder. 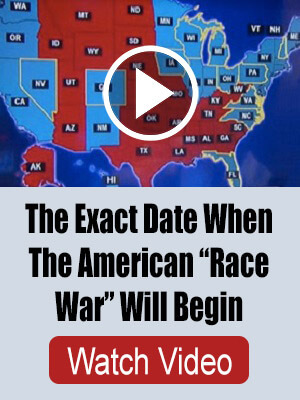 This video goes into more detail. Use the bags to store seeds that you have harvested and dried. If you have plenty of bags, you can put different seeds in each bag and label them. Ziploc bags can be used to carry seeds, berries, and other plant parts that you forage. Berries can get messy and sticky, so having them in a bag keeps them from getting on the rest of the plants you harvest. Place the bag over a bandage or directly over a wound until you can take care of it properly. This will keep it dry, and dry wounds are the key to preventing bacteria growth. The bag can be held on with duct tape or medical tape. Use the bags to collect water from leaves or other greenery. Put the bag over the end of a tree limb and secure it with a rope or a rubber band, then leave it there overnight. The condensation will fall into the bag. If you need to take water with you but you don’t have any other containers, Ziploc bags can be used to carry water. However, you’ll want to use the large kind and, depending on the quality of bags, you may want to double bag it. If you want to warm up some water to use for a sponge bath, but you don’t want to start a fire just to warm a little bit of water, then seal your water in a bag and place it in the sun for a few hours. Ziploc bags are ideal for keeping matches, tinder, and other fire-starting equipment dry. You never know when you may have to deal with rain or snow. If you have a GPS unit or even a cell phone, stick it in a Ziploc bag to keep it safe from moisture. Stick your hand in the bag and use it as a glove to take care of any messy business. You could also use them as gloves to tend a bloody wound or wipe down your sleeping mat. Put first aid supplies in one, fire starting supplies in another, and so on. This will make it easy for you to grab exactly what you need without rummaging through your bag. The larger quart and gallon bags work best here. Toss your dirty socks or underwear into a large bag to wash when you get a chance. This will keep the smell from getting all over your other stuff. You can use bags to create small greenhouses to protect new seedlings. In a survival situation, your vegetable plants will be a major source of nutrition and you need to do what you can to nurture them. If you have been lucky enough to harvest a small animal, plastic bags will be your best friend. 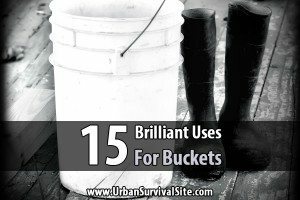 They will help keep things tidy and can be used to carry the animal back to your camp. If you are dealing with a pandemic or if someone has the flu, Ziploc bags will be a huge help in keeping things clean. Viruses are spread through bodily fluids and you don’t want to risk exposing yourself or other people in the family. These are just a few of the ways you can use Ziploc bags. You’ll be so glad you have them when you need them. I recommend this variety pack. However, you might be able to find an even better deal at a dollar store. 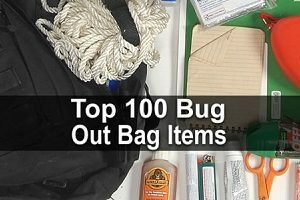 If you think of any other survival uses for Ziploc bags that aren’t in this list, leave a comment and let me know. I find the freezer bags to be stronger than the storage bags whatever size you need. One thing I noticed is that the makers seem to think all items are square.. I know that a lot of times I would have liked an oblong bag for fish or small game as I have never seen a square rabbit or squirrel !. It would also mean in the upright position they might just slide into your bag a bit easier. Many of them are so big and the ziploc so stiff that the only way to pack them is by rolling them along the line of the ziploc. It get’s the air out and makes them easier to pack.